The iMamba is a tomahawk concept we developed at the request of a customer with extensive battlefield experience in Africa. 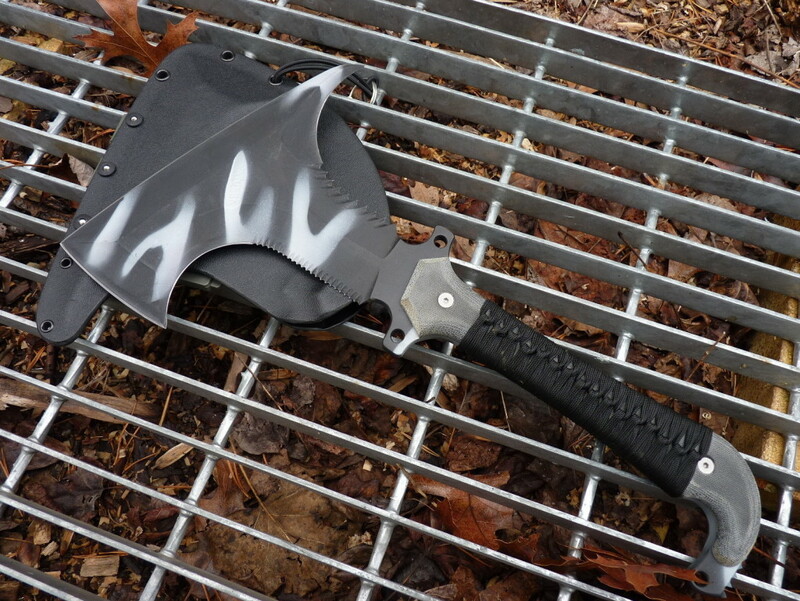 The Zulu namesake of this tomahawk is intended to set a tone for its function. The Black Mamba (Dendroaspis polylepis) is the most aggressive and deadly snakes on the dark continent. 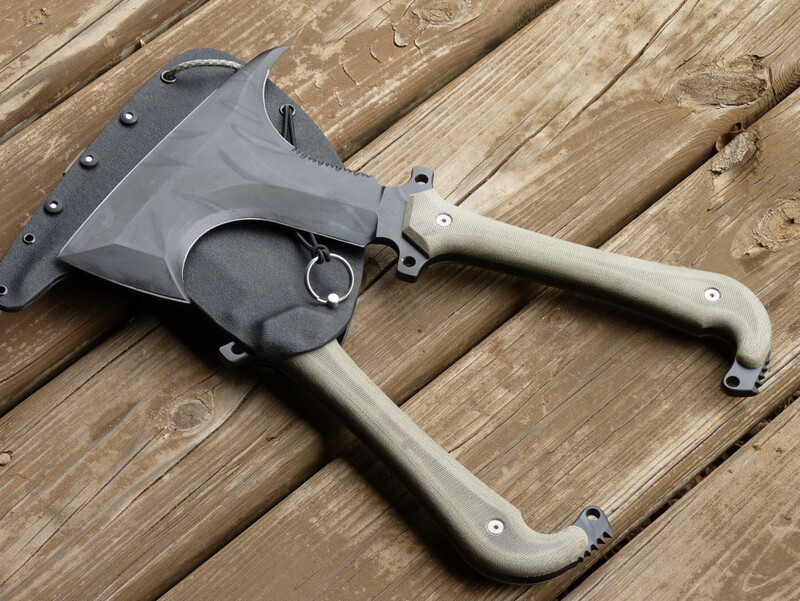 With such a reputation to emulate, we designed the iMamba tomahawk to be the most vicious and terrible tomahawk in the world, with little utilitarian purpose. 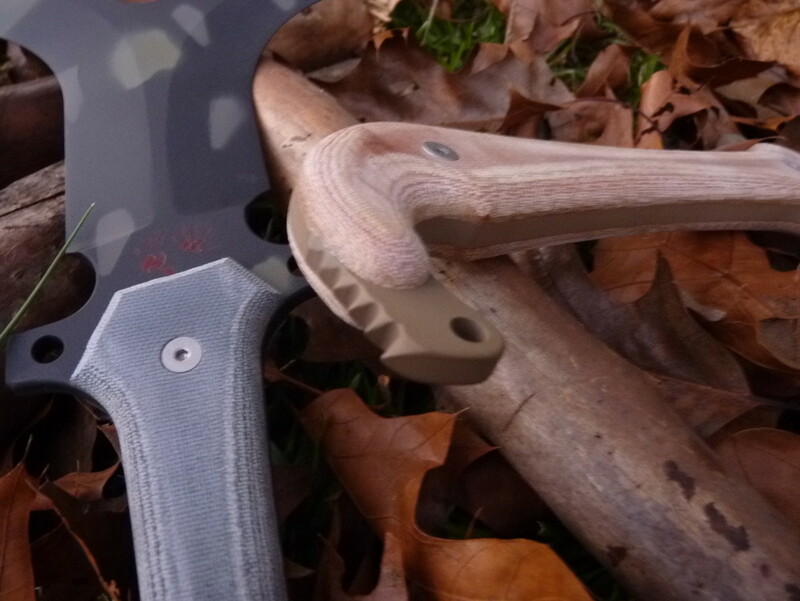 Design parameters we considered during the development of the iMamba: Spike that can pierce soft body armor, and shatter ceramic armor plates; Cutting edges and geometry for maximum damage in tissue and clothing; beard with just enough hook for trapping and ripping techniques; guard to catch incoming strikes and to prevent the hand from sliding up on the blade, feature to deal with blood and try to keep it off the handle; handle for maximum retention and multiple gripping areas; strike feature on pommel; 100 percent retention and locking sheath. Specs: 1/4″ 1095 with micarta grips and Cerakote coating. 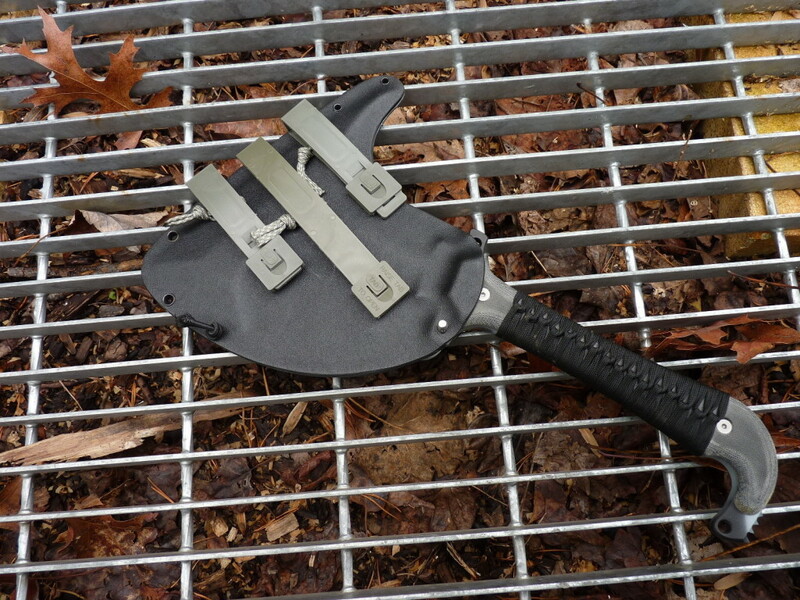 Serrations optional. 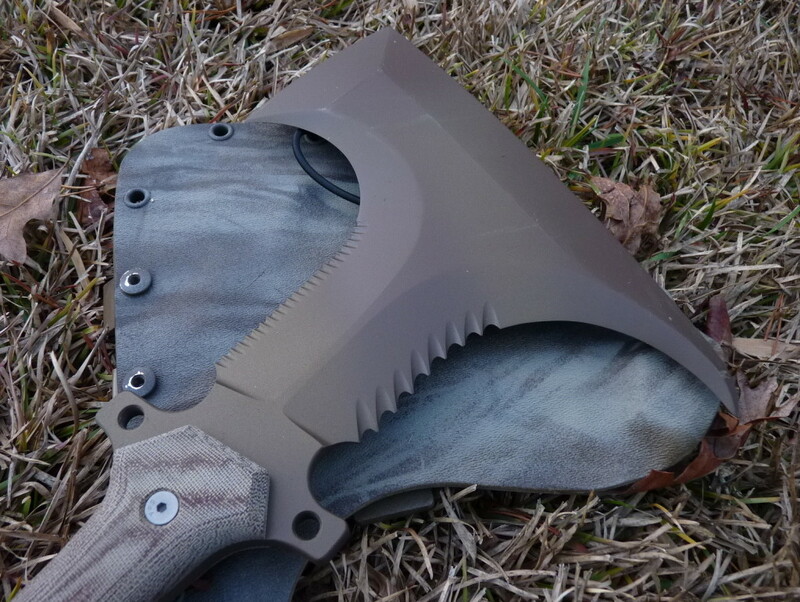 locking kydex sheath with Molle mount.